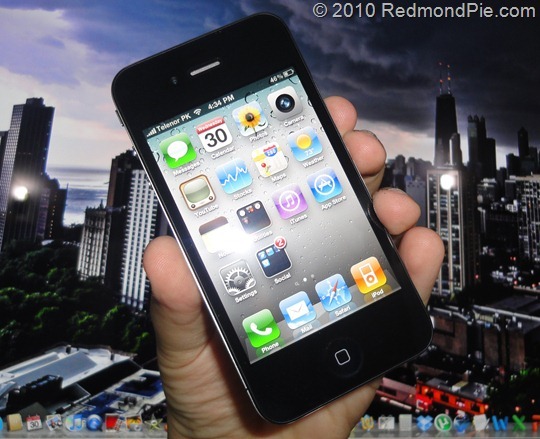 Official Unlocked iPhone 4 To Be Available In US Apple Stores This Wednesday? One thing US iPhone users have always wanted to do has been unlocking their phones, especially since unlocked phones have been available in other countries for a while. If a Twitter source is to be believed, the wait will soon be over, as US Apple Stores might be getting unlocked iPhone 4’s in just 3 days. Apple has offered unlocked iPhones in other countries for a while, like Canada or the UK, as well as other countries where makers are mandated by law allow handsets to be unlocked. As you can probably tell, Apple is sparing no models, since all of them will now have an unlocked version. Should we drop our current US iPhones for unlocked ones, now that they will be legally available? Not so fast. The only way Apple is able to sell the iPhone 4 for $199 is by attaching it to a 2-year contract with a preferred carrier, like AT&T, which will in turn subsidize the phone. Setting the phone free also means that there will be no subsidization, meaning that we might pay as much as $600 for the lowest-end iPhone 4, much like what we used to pay for the original iPhone when it came out, way back in the summer of 2007. If that wasn’t enough, rumors of a future iPhone release, projected to happen in just a few months, should not be ignored. Although the planned hardware upgrade is expected to be rather minor, many geeks still wouldn’t be pleased about it, especially after spending $600 on a brand-new previous-generation iPhone. If you’re planning to switch to T-Mobile, the only GSM-capable US carrier besides AT&T, you shouldn’t keep your hopes up for this either: since AT&T and T-Mobile both use different frequencies, you won’t be able to use 3G, which of course means dial-up-like speeds while web browsing. No, this is not a gift from the heavens, only a distraction that is unlikely to form any lines or cause any excitement around Apple Stores. Unless you travel often and feel the need to swap SIM cards on a regular basis, there’s absolutely no reason to get this.